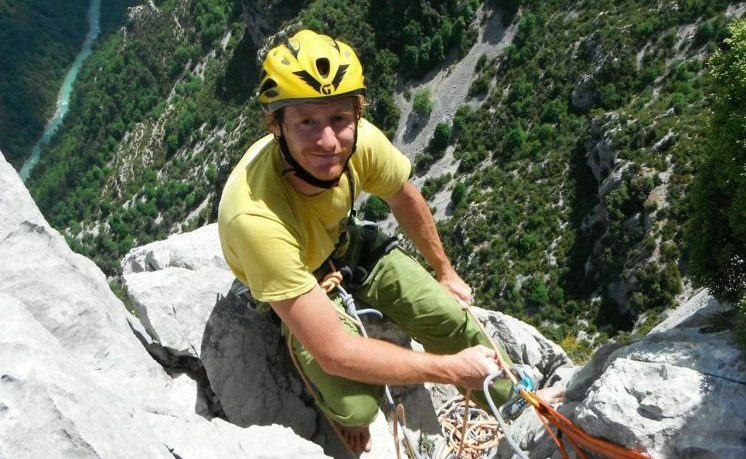 We are a team of qualified Mountain Guides. We love what we do and we are passionate about the mountains. We are always on the lookout for new adventures because we want to share with your the best and most memorable emotions. I was born in Magenta, near Milan, where I lived until I moved to Aosta when I was five. As a kid, my beloved mountain bike was my constant companion. My love for the mountains developed gradually, first with short hikes to mountain huts or lakes. Then came the peaks, and their unforgettable views sparkled my passion. Looking at the world from the top of a mountain you reached only with your strength gives you a great sense of freedom and inner balance. It is a feeling that I cannot do without any more. 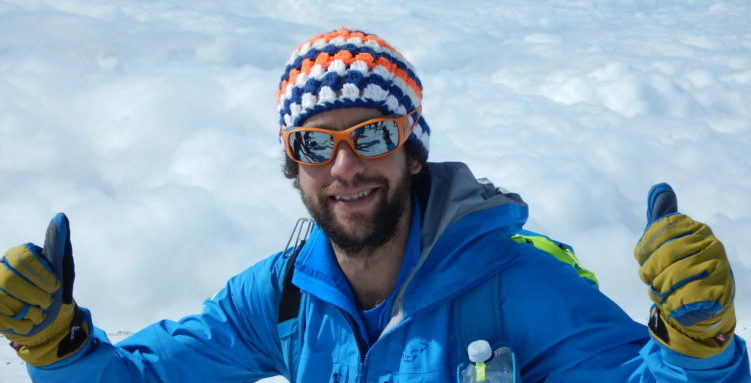 I started PEAKSHUNTER Mountain Guides in 2015, after qualifying as a guide. 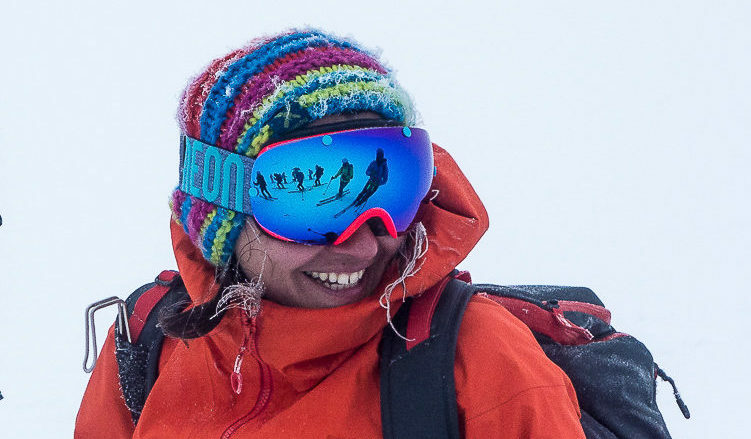 It started as a website and blog for publishing mountaineering photos, but with the input and support from friends and colleagues, it soon became the ambitious project of a close-knit team of guides specialising in alpine activities. I love exploring and looking for new challenges and experiences to share with the people who trust me and ask me to accompany them. I have two children, twins, called Gaia and Samuel. I hope, somehow, to pass on my passion for the mountains to them. I was born in Bergamo in 1975. Over the years, I have lived and studied in Milan, Valencia, Florence, Ancona and Genoa: of all cities I have loved the people, the culture, the art, the architecture, the landscapes, and the cuisine. In 2005, I gave birth to Pietro, an event that changed my life. I resigned from my jobs at an architecture firm and at the Politecnico of Milan, where I was an assistant professor, before starting a new job in 2006 at the Bergamo city council’s planning office. A late March day in 2013, brought another turning point. 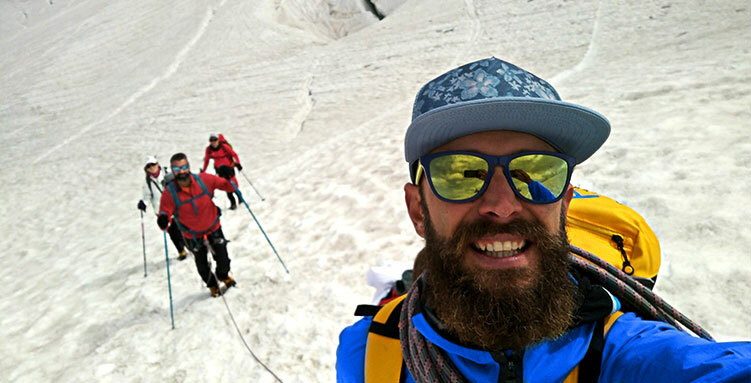 A trip into the mountains and an off-piste descent in the Valle Perduta made me discover the world above the clouds, and meet Elis, the mountain guide who would become my companion in other expeditions and excursions, before also becoming my life partner. I love the mountains and the opportunities they give to live life to the full and push myself further. To paraphrase a mountaineering legend, the highest peak is the one inside us. 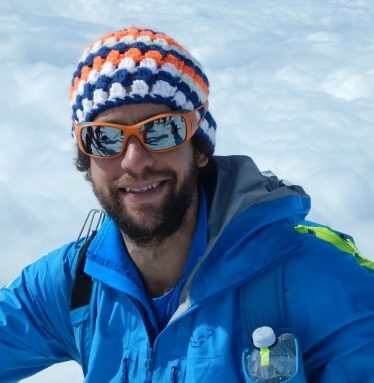 I take an active role in the PEAKSHUNTER Mountain Guides project, supporting the team and in charge our customer relations. Mountain peaks and pastures have been a constant in my life for as long as I can remember, especially those of Valpelline, off the main Aosta Valley. I was a forest ranger there for fifteen years, but I quit in 1998. 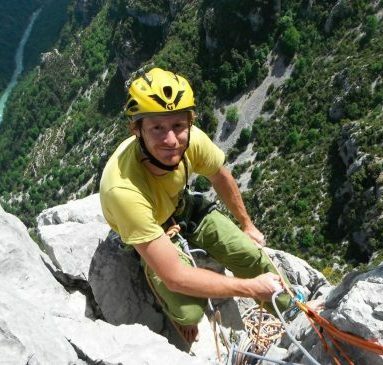 Since then I have made my living as a mountain guide, working all over Europe and around the world. I consider myself a traveller, in the sense that the peak, our target, is actually just a pretext. What really matters is the journey! I married Claudia in 2011 and I have two wonderful children, Martino and Clarissa. Over the years, I become interested in security and rescue, specializing as a trainer and instructor in these important fields. I was born in 1977 near Milan, where I lived and studied until I was 22. My maternal grandparents, who were from Gressoney-Saint-Jean in the Aosta Valley, took me for my first hikes in the mountains when I was only 3. That was the beginning of my love for the mountains, high-altitude climbing and skiing. In the late 90s I left the city and moved to my grandparents’ home town with the idea of leading a healthier life in close contact with nature. 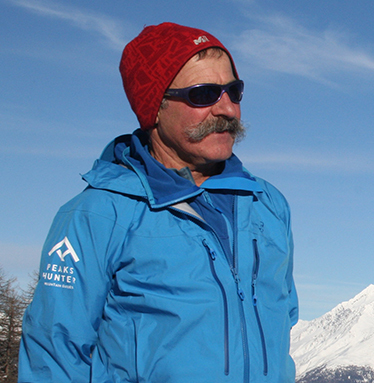 In 2009 I began my mountain guide training and earned my IFMGA licence in 2011. I began accompanying climbers, skiers and hikers, trying to convey my personal approach to the mountain: slow and conscious. Now, I live in Cogne, at the heart of the Gran Paradiso National Park. I love nothing more than spending time in the mountains. It is a form of recreation, but also a spiritual pursuit. I love to savour the taste of adventure and discovery, ever conscious, however, of the importance of safety and having respect for the wilderness. 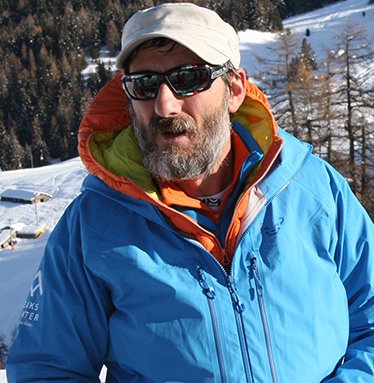 I have been a mountain guide since 1983. I can trace my passion for mountaineering to the stories my grandfather used to tell me when I was just a young child. He had worked at the Tête Rousse hut on Mont Blanc and, to earn a little more money, would offer his services as a porter, clocking up to twenty-odd climbs every year. I work all over the Alps, but primarily in the Aosta Valley. I find the mountains still inspire me as much today as they did when I was a little boy. I live in Fenis (AO), together with my wife and my daughter Nelly. In my spare time I help to run our small B&B, “Chez Gaillard”, welcoming Italian and foreign tourists, who love the mountaineering world. 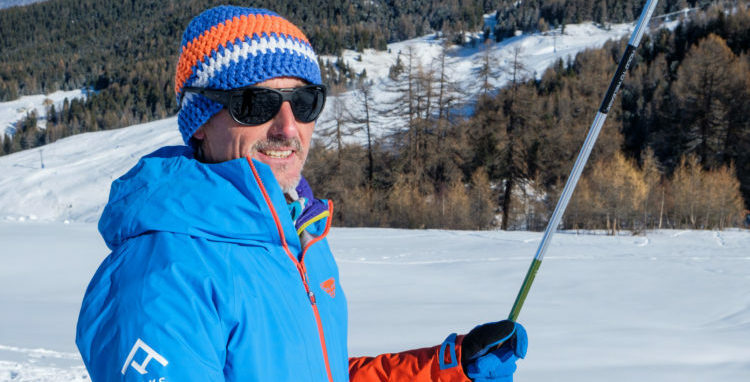 I was born in the deep south of Valle d’Aosta at Pont-Saint-Martin in 1966, but I have always lived the mountain as a place of fun and a space of freedom and adventure. 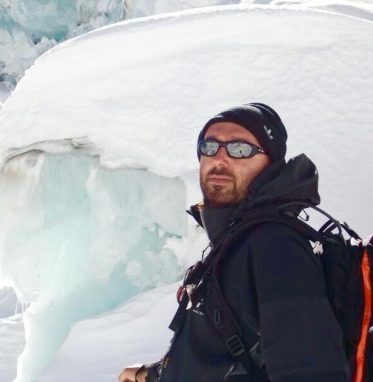 I became an Alpine Guide in 1995 and I am part of the Compagnie des Guides d’Arnad, specialized in canyoning and a member of the Valdostano Alpine Rescue. 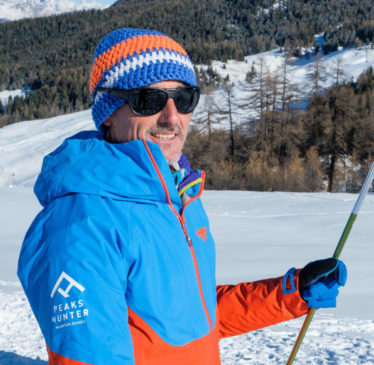 After graduating from the Liceo Scientifico of Pont-Saint-Martin, I enrolled at the ISEF in Turin and for more than twenty years I have been following the regional alpine skiing team as an athletic trainer. But it is certainly the mountain that has profoundly marked my life and my beliefs, always confronting me with a loyal environment and punctuated by simple rules that do not allow cheating. This area gave me incredible adventures of great gratification that I shared with friends, but also customers and sometimes it was a personal match between Mountain and me. I am the father of two wonderful daughters, Beatrice and Giada, who in their own way start living the mountain too with joy and passion. 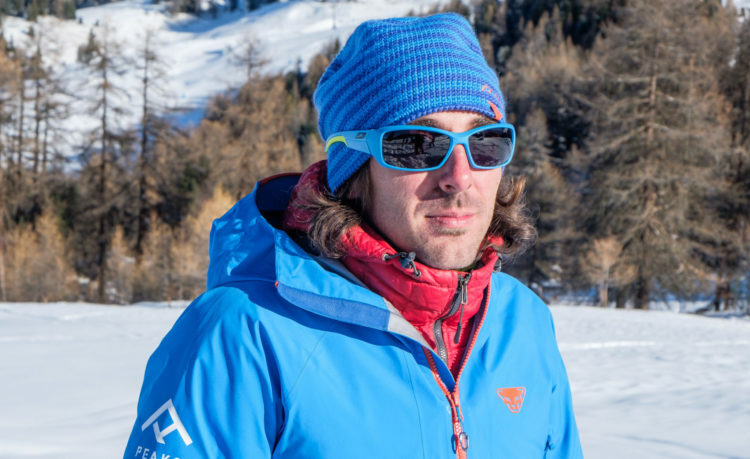 Born in 1983, grown in Brusson, i ran for the Aosta valley regional team of Biathlon until the age of 19. In 2002 I left home to continue my studies in France and later in Belgium, during this time I was offered for a job in Milan. This way started a journey inside television channels and post-production companies, where I get skilled and specialize in 2D and 3D animation, editing and compositing. 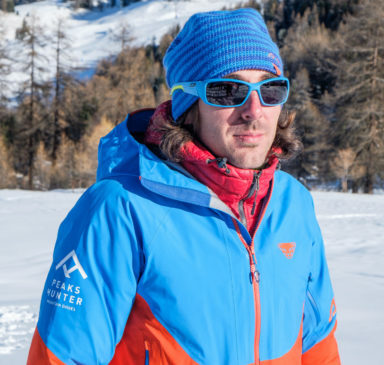 2010 is the year of change, bored of the hectic life and the work system of big companies, I take the decision to come back to Aosta Valley and to transform my passion for the sports and the moountains into a new job. In 2016 I achieve the title of Aspirant Mountain Guide and I can finally fulfill my dream. Now I try to convey my passion to help people live incredible experiences, using my past to care also about communication, photo and video production. I was born in 1991 in the province of Cuneo, west Piedmont, where I live and still live.I started to go in mountain in the company of my parents. We usually attend in valleys not far from our house, between the Monviso and the Sea Alps, in the summer as well as in the winter. 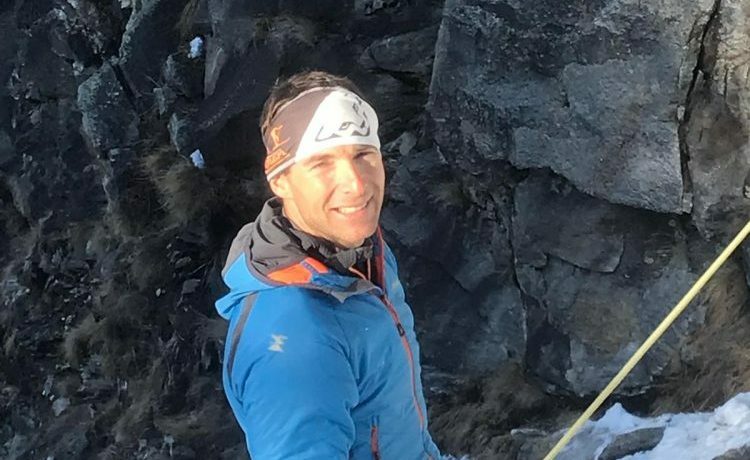 When I was ten, I started my trip to the world of climbing sports and thanks to the older friends, the first mountaineering and ski-mountaineering experiences around the Alpine arch. Eventually, in 2015, after graduating from the University of Science in Motor Science (SUISM) and after the selection, starts the long journey to become Alpine Guide, a little dream that becomes real . I was born in 1978 in Cuneo, where I still reside. 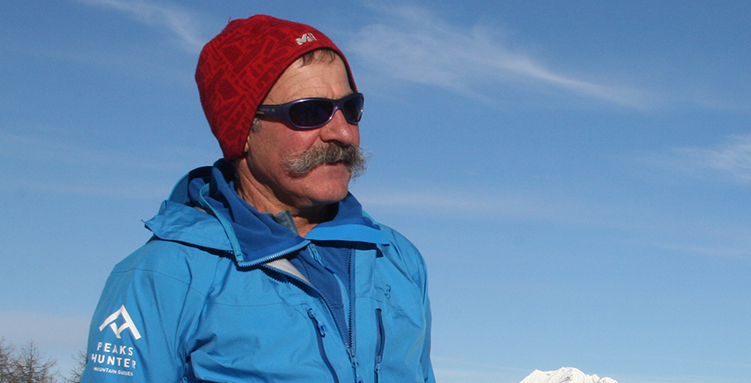 I started climbing and skiing at the age of 4 thanks to an Uncle Alpine Guide. 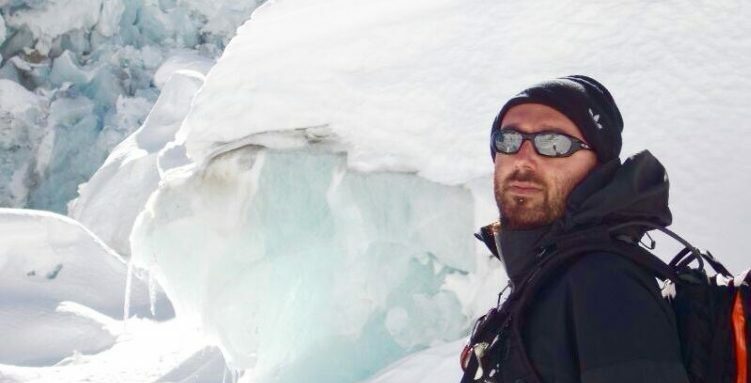 Always thanks to him some ten years later I made my first ascent in the mountains and it was immediately love, I understood that those peaks would become my great passion, my lifestyle. 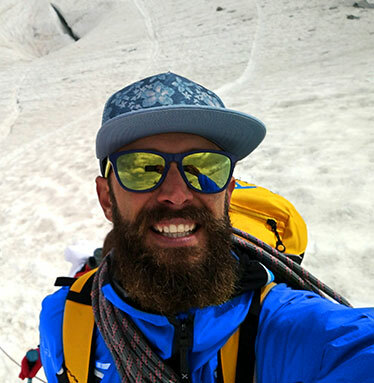 A few years ago, after years of rope works, I decided to pursue my dream and finally become an Alpine Guide. 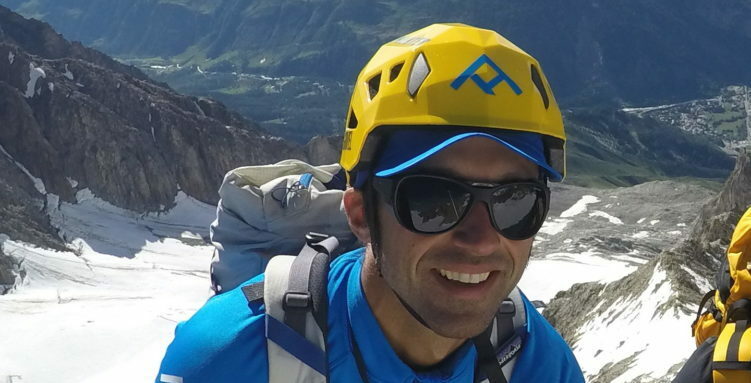 Born in Trentino in 1981, I grew up in the woods of the Val di Fiemme where I lived until 2018 when I moved to Valle d’Aosta. From an early age I dedicated myself to sport, doing cross country races, cross country skiing, ski mountaineering and mountain biking. 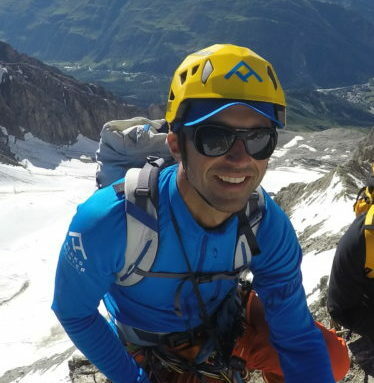 At the age of 13, thanks to a friend of the mountain guide, I conquered my first mountaineering summit: the Marmolada. A wonderful experience that made me ignite the passion for this world. Year after year my passion has grown more and more, climbing classic routes in the Dolomites, mixed in the high mountains, taking advantage of the most beautiful ice falls and wandering with alpine skiing on all the Alps. 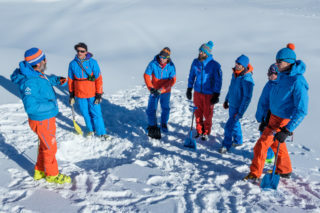 At 34, also working as Rescue worker and transport of injured people on the ski slopes in winter and in summer adventure parks, I decided to take the course to become Aspiring Mountain Guide in Trentino, where I obtained the qualification in 2018. Mountains have been my playground ever since childhood: hiking, downhill and cross-country skiing as well as thrilling adventures exploring woods, meadows and rock walls, enjoyed during the long summer days in our mountain house. As a teenager, my attention focused on music: being a guitarist, I fully devoted myself to this world and was involved in studio recordings, record productions and concerts around the world. 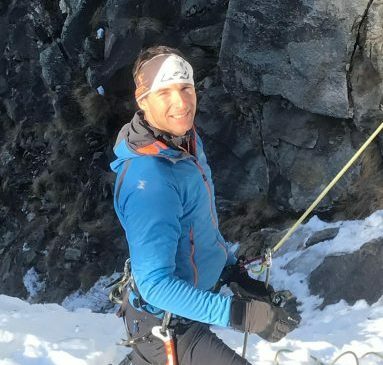 A climbing course with Elis rekindled my passion for this dazzling environment: slowly but surely, guitars and amplifiers were replaced by ice axes and skis. My passion for photography was then the icing on the cake. I still work as a sound engineer, though I escape to a mountain top whenever I can, touching rock, ice and snow, capturing pictures of the wild, alluring mountain scenery. Mad about the mountains. No description would better suit my personality, that of a Britain-loving young lady who left a job as an art dealer in London to pursue her crave for the mountains. Born and bred in the Valsesia, stemming from Borgosesia, I cherish the silence, but adore meeting new people and pursuing exciting adventures. After several years in the United Kingdom, Canada, the US, Hamburg, Milan and Rome, I now live in Aosta and bless my surroundings, encompassing world-renowned peaks and breath-taking views. 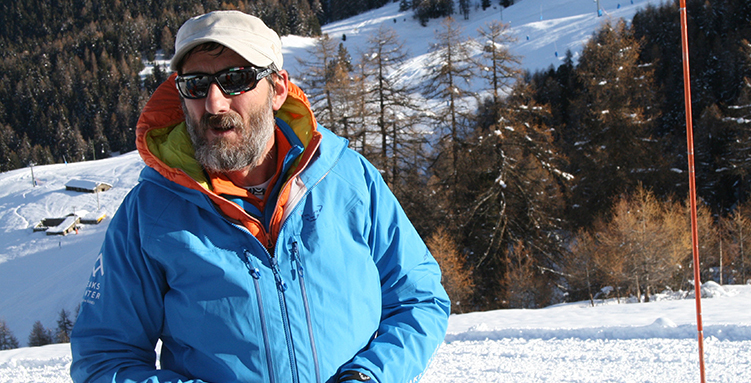 I am a translator and journalist, specialising in the Outdoor industry. I adore chasing mountaineers and adventurers to capture their secrets and find out about their interests and passions. 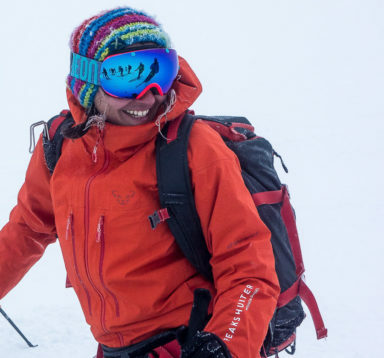 Peakshunter is a new project, driven by ambitious, competent and authentic people, committed mountain guides who love their job. I want the four corners of the world to discover their extraordinary adventures: will you come with me?